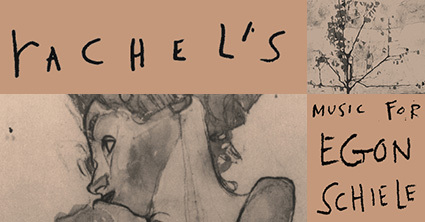 Rachel's Music For Egon Schiele Turns 20! Let's Celebrate! Amazing! It's been 20 years since the release of Rachel's acclaimed album, Music for Egon Schiele! As the soundtrack to a piece of dance and theater based on the life of the romantic and controversial Viennese painter Egon Schiele and presented in 1995 by the Itinerant Theater Guild in 1995 in Chicago, Rachel Grimes composed and performed Music for Egon Schiele with two string musicians during the run of the performance. Released February 20, 1996, by Quarterstick Records on CD and LP, Rachel's second full-length album features Christian Frederickson on viola, Wendy Doyle on cello, and Rachel Grimes on piano. These songs are not sparse, they're beautiful. They build, they crash, and they capture expressions of colors and tones in musical notation. In celebration of the 20th anniversary of Rachel's 'utterly transporting' album, the piano trio Longleash will perform the newly published compositions of Music for Egon Schiele at the Ecstatic Music Festival in New York City on February 10th, 2016 (almost 20 years to the date of the original release!). Rachel will join the trio for arrangements of pieces from her 2015 album The Clearing (Temporary Residence) and the world premiere of her two-piano work "And Today Was Her Birthday."